Chatsworth International School opened in January 1995. It is an independent and non-selective school with students of diverse nationalities, ranging from age 3 to 18 attending Primary (Early Years K1 to Year 2 and Junior Years Year 3 to 6) and Secondary (Middle School Years 7 to 9 and High School Years 10 to 13). 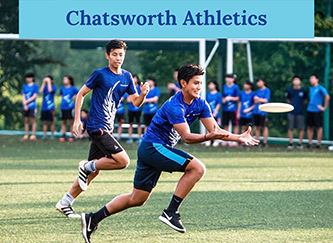 In 1998, Chatsworth moved from our original location in Upper Serangoon to the main Orchard Campus that offered a variety of facilities. The centrally located Orchard campus occupies an important place in the past as an educational landmark of colonial-era and is designated as a historic site. It was the home to the original Singapore Chinese Girls’ School. A second international campus was added in August 2005 in the East. As a primary school, the East Campus serves students from Kindergarten through Year 6. Albeit different campuses serving students of diverse nationalities and age groups where some traditions and culture may inevitably differ, what remains the same and that binds our Orchard and East campuses is the pride for the Chatsworth community and the shared belief of what we stand for and who we are as a school. Our strong, supportive, close-knit community of students, teachers, parents and school administrators, is the foundation of Chatsworth’s education experience. We believe in a nurturing, trusting environment that feels like home, where every child of every age, gender, nationality, background and ability is welcomed with warmth, friendliness and compassion. We are committed to fostering an inclusive community that values and respects everyone. At Chatsworth, holistic education means creating an environment that cultivates character development and personal learning. At the heart of Chatsworth is the belief that you become is as important as what you become. 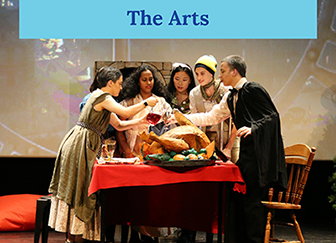 We believe in providing an educational experience that harnesses the individual. Chatsworth is very fortunate to have had strong and close support from the Chatsworth Parent Group (CPG) that was first initiated in 2001. Regular meetings are held and events are organised around the school by the parents, for the parents and community. We continue to build and maintain such close school-parents partnership toward the betterment and development of our students.